Built into the new Protone and Rigitone perforated plasterboard, Activ’Air is a unique technology that converts VOCs into non-harmful inert compounds. With New Zealanders spending much of their time indoors, there is little wonder that there is a strong focus on indoor air quality in building legislation. Architects and specifiers are actively seeking solutions to reduce the levels of VOCs and other pollutants, particularly for projects where poor air quality can have a more damaging effect such as in hospitals, aged care and education facilities. Activ’Air can be specified for any project where a sterile environment is desired. Activ’Air is a unique technology developed by worldwide plasterboard specialist Saint-Gobain, that converts VOCs — particularly formaldehyde, into non-harmful inert compounds that are permanently locked in the board and cannot be released back into the air. 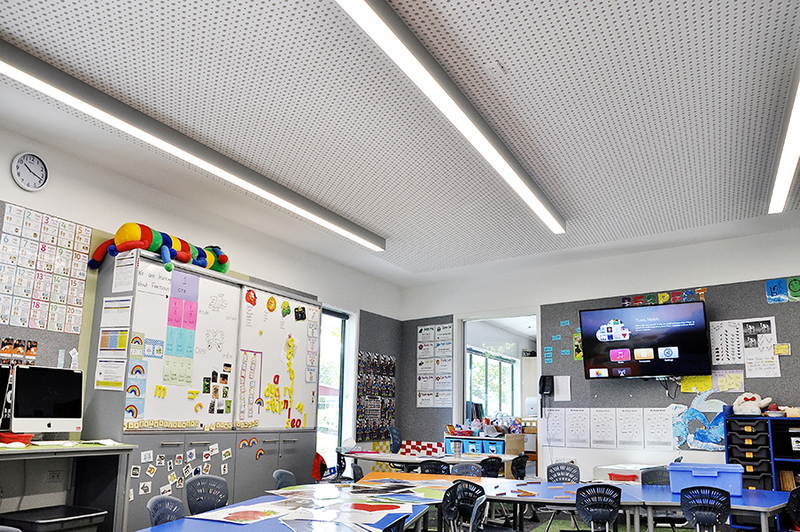 Activ’Air technology is built into the new Protone and Rigitone perforated plasterboard options that have recently been introduced to the New Zealand market through Potter Interior Systems’ International Alliance program. These products provide exceptional acoustic control and a high level of design flexibility. Independent testing was conducted at the CertainTeed Research Centre in Blue Bell, Pennsylvania to ISO 16000-23: Indoor air — a performance test which evaluates the reduction of formaldehyde concentrations by absorptive building materials. These tests showed that Activ’Air can reduce the concentration of formaldehyde within an environment by up to 60% when installed in ceilings, even when there is continuous airflow containing formaldehyde. Installing ceiling and wall linings containing Activ’Air technology will have an enduring impact on air quality and will improve the environment for people working and living in the space. See our product pages here to find out more about Activ’Air technology and other product features of Protone and Rigitone.